You may remember that we had very mixed results with our tomatoes this year. 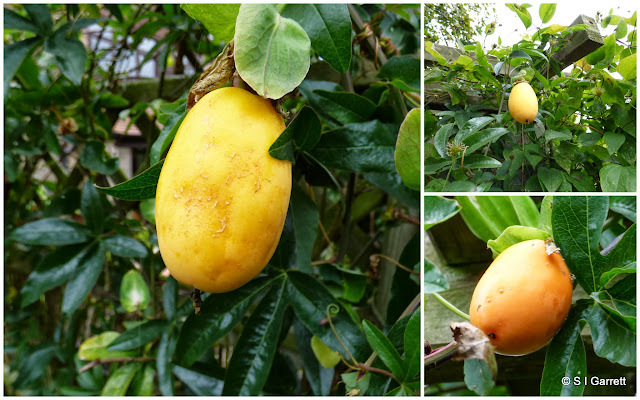 The ones growing in the garden greenhouse produced very few fruits unaffected with blossom end rot. So much so that we are considering not growing tomatoes in there next year. Our garden greenhouse is a fairly large (10'x20') made from cedar. The tomatoes only occupied a part of the space. 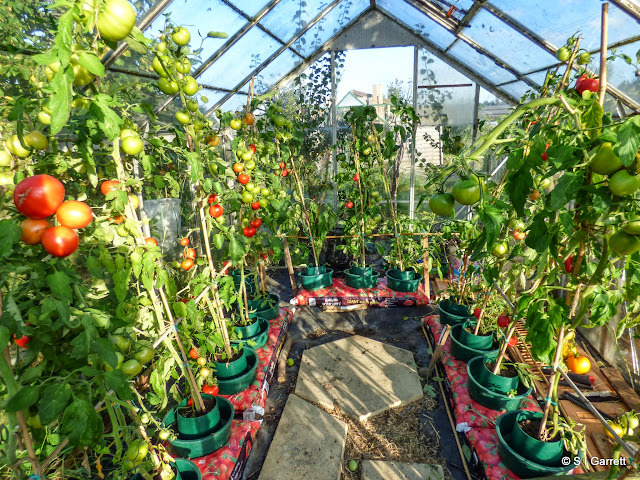 They were watered and fed regularly and the greenhouse door was left open during the day. The tomatoes in the smaller (6'x8'), aluminium, plot greenhouse produced healthy fruits but these have been very slow to ripen. They were watered when we went to the plot which wasn't on a particularly regular basis - sometimes there would be a few days between watering and the greenhouse was shut other than when we were at the plot. There is one working automatic roof window which was the only regular means of ventilation. 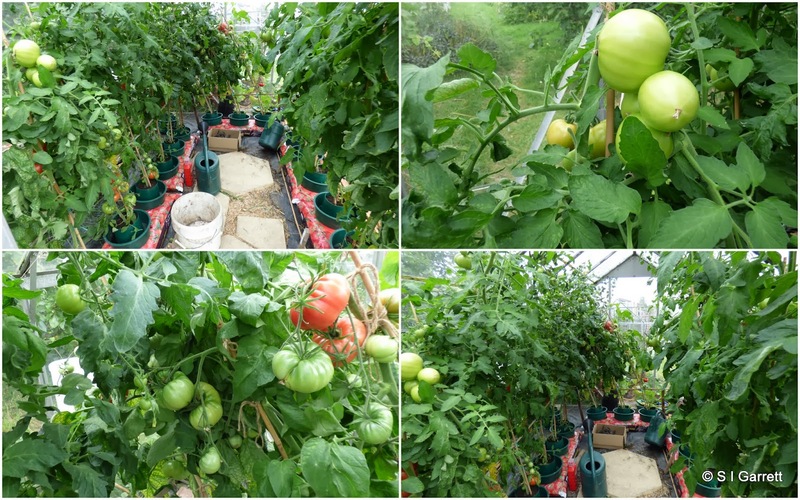 The plot tomatoes had the greenhouse to themselves. Our first ripe, disease free tomato was harvested on 18 August! 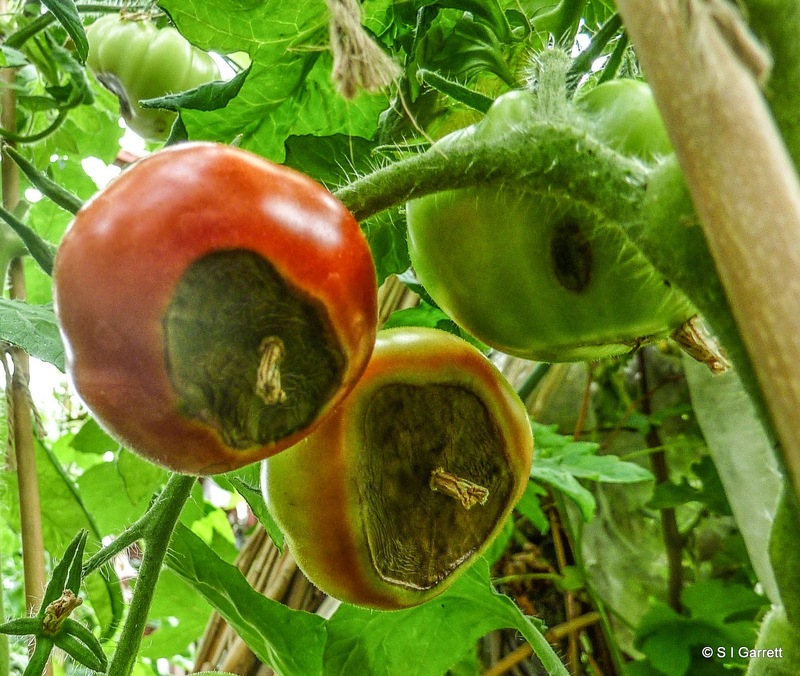 The fruits are at last ripening quickly but it's a case of can the tomatoes ripen before the fruit starts to spoil? 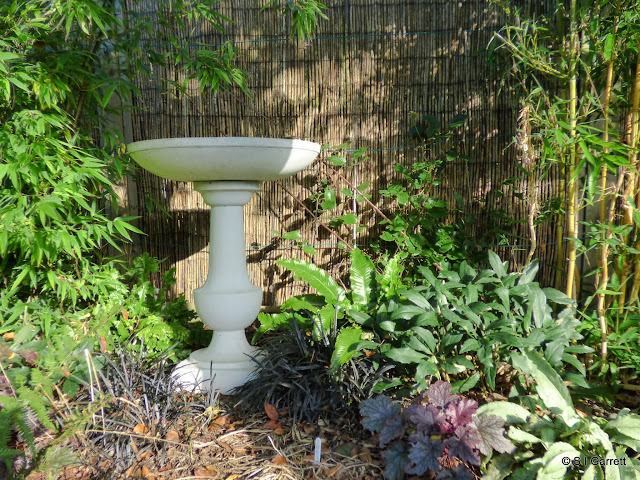 I've cut off most of the foliage to allow the fruits to take maximum advantage of light or even sunshine! 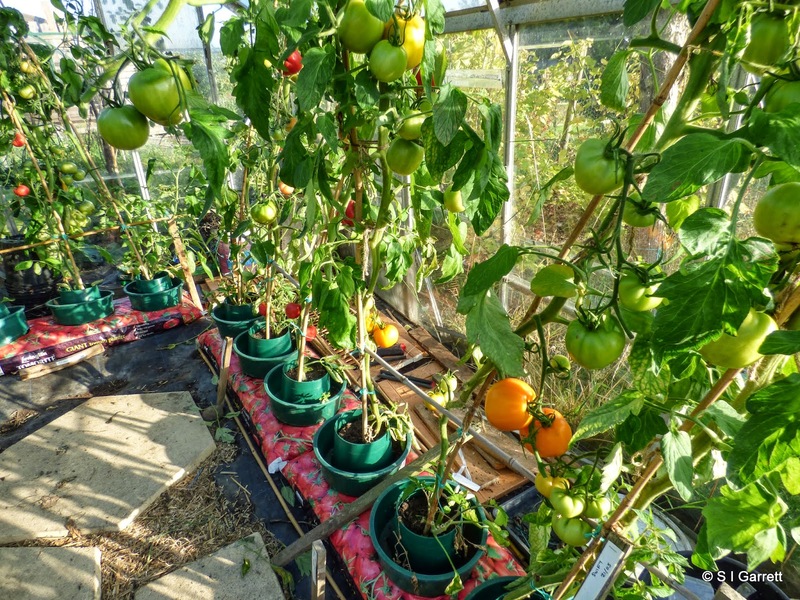 We don't want to remove the green tomatoes sooner than we really need to so fingers crossed that we get our timing right and can continue to enjoy 'sun' ripened tomatoes for just a little while longer. Better late than never but let's hope next year the tomatoes get their timing better and produce ripe fruits when they should! 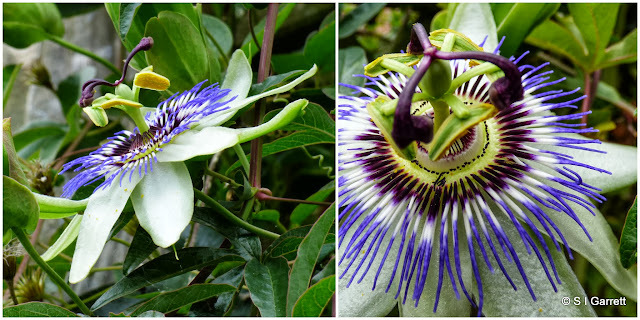 I've posted photos on previous posts of the passion flower that was given to us by our allotment plot neighbour - Joe. 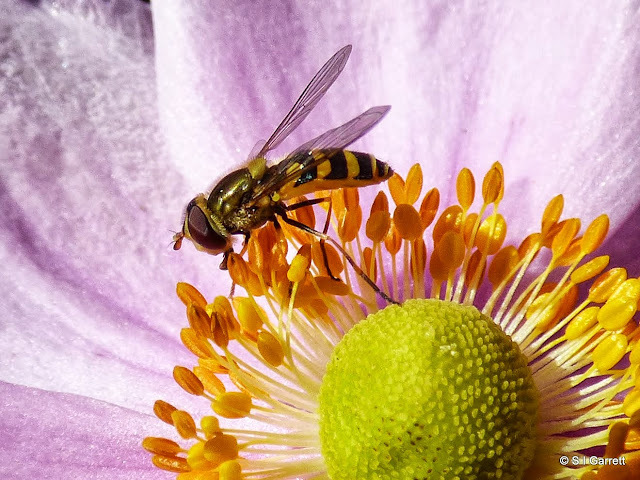 Joe is one of those people who can't resist collecting seeds from all manner of things and popping them in compost to see if they will grow. He usually then ends up with row upon row of tiny plants, some of which are from long forgotten origins. This passion flower is fairly vigorous and hardy. Its tendrils stretch out and grasp anything they happen upon - ours is now making its way over an arch and up into a nearby crab apple tree. As you can see it is still producing flowers. We noticed that this year some of the flowers had set fruit. 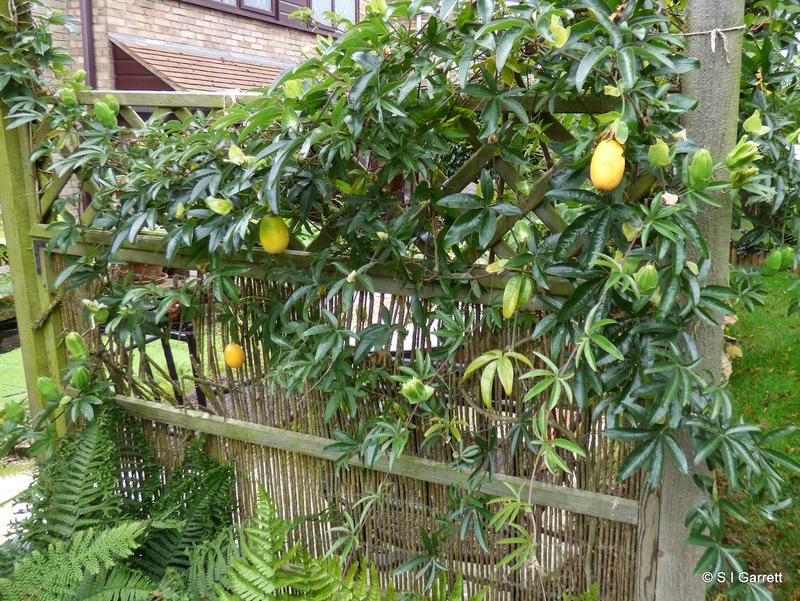 These have started to ripen. So I wonder should we try eating them or not? We can no longer contradict the meteorologists who consider any month ending in -ber to be in autumn. 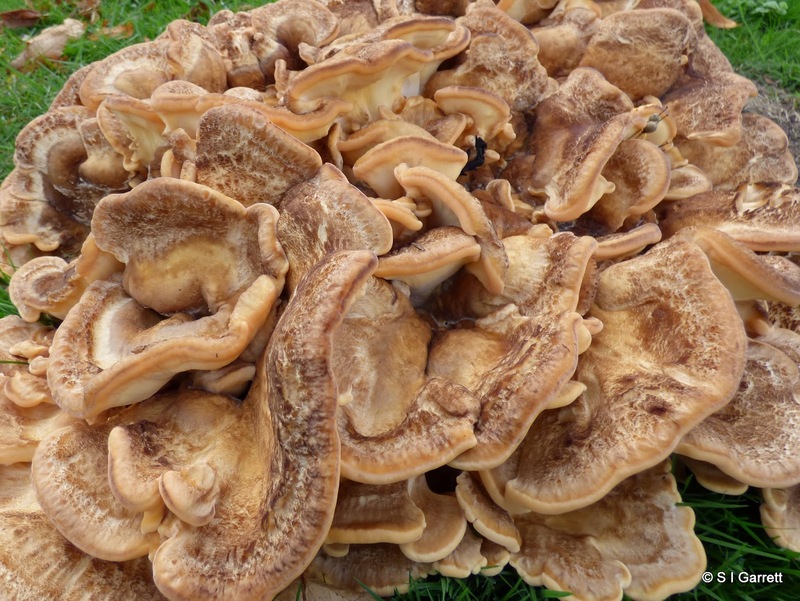 The autumn equinox has passed and as we look around the fact that autumn in now upon us is confirmed. 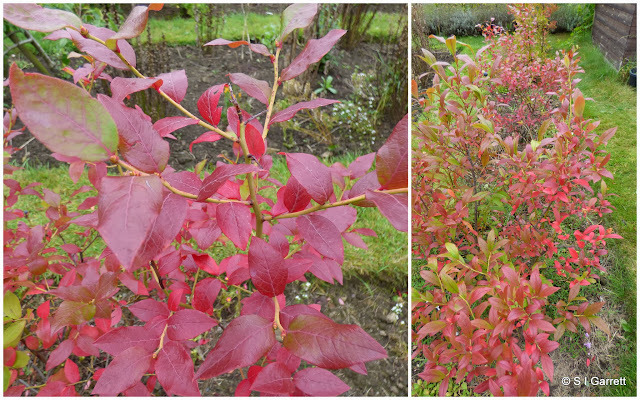 The blueberry bushes at the plot are a fiery red. The hosta leaves are beginning to yellow. 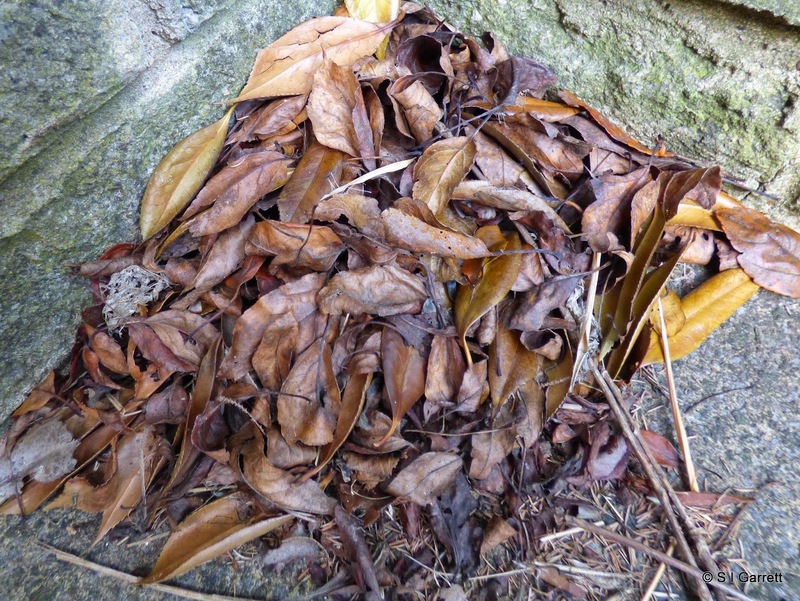 Small gatherings of fallen leaves are beginning to cluster in sheltered corners. Mildew is beginning to creep over the leaves of its favourite plants. and the silken spiders' thread catch on the morning sunlight. The low sun plays with shadows and light. 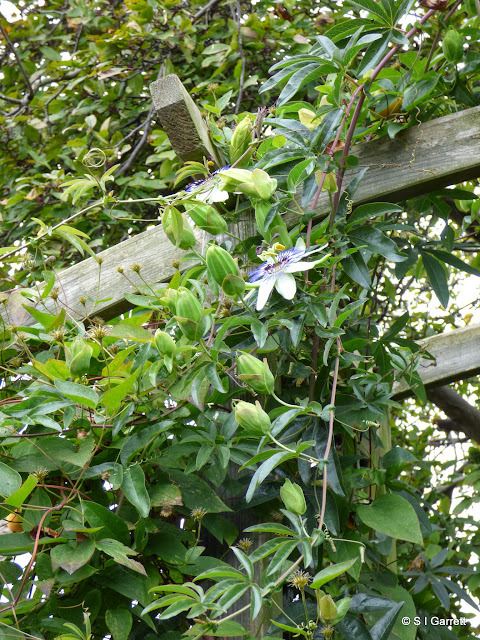 ... and autumn flowers are showing their faces. The hours of daylight are being gradually eroded and we are wakening to the sound of radiators warming! It's time to stock up with warm jumpers and paperback novels and resign ourselves to the fact that summer has gone. 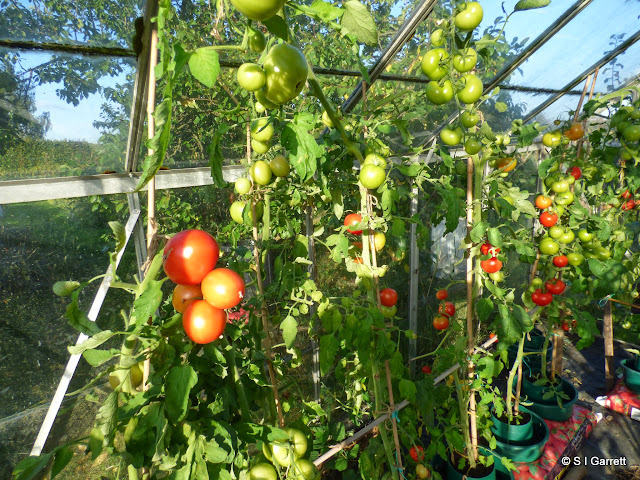 Let's hope that autumn is kind enough to give us a bit more time to ripen all those green tomatoes? 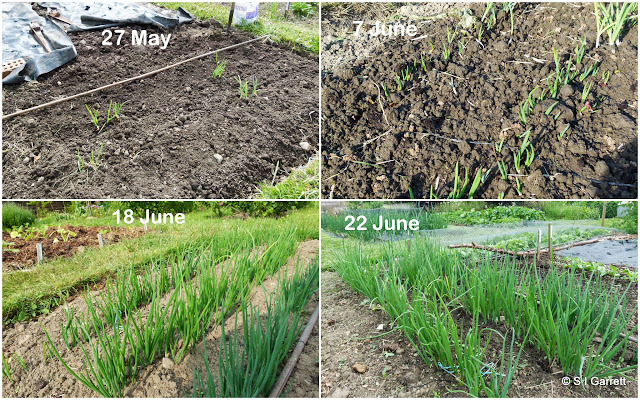 We planted onion and shallot sets in three phases. The first lot of shallot and onions sets were planted in modules on 18 February. The shallot sets being larger were planted in trays that held 15 cells and the onion sets in modules with 24 cells. They grew away well and were planted on the plot on 5 May, (11 weeks after planting). These plantings have gone on to produce some good sized onions and shallots. Some individual shallot sets produced ten new shallots. As usual the red onions were the least productive. Again to get them off to a good start, the second batch of onion sets were also planted in cells and kept in the cold greenhouse. These were planted on 15 March in just the same way as the previous sets except that we anticipated planting them out quickly and so they were planted up in smaller modules. Each tray contained 40 cells. The weather delayed planting out the second batch and they finally made it to the plot on 26 May, (10 weeks after planting). Unfortunately these onions have struggled to grow. I think that they had stayed in the modules too long and become root bound. Even though they were in modules a week less time than the first lot. 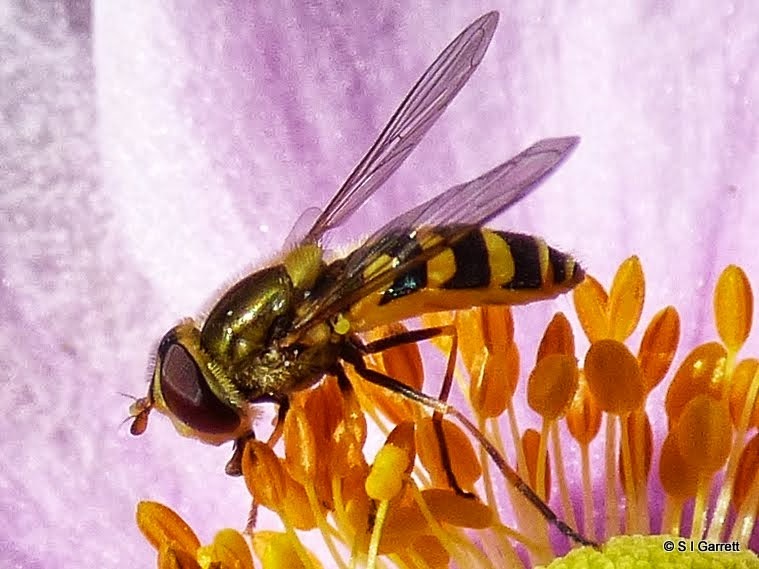 However the later planting meant that the sets grew away quicker and they were also in slightly smaller cells consequently they didn't cope well with the setback once planted out. They never really looked as though they were growing as well as the earlier planting and the harvest from this batch has been disappointing both for onions and shallots. We did manage a small crop but the red onions had virtually disappeared. Bear in mind that this area is twice the size of the area in which the first lot of onions and shallots were planted and held almost twice the number of sets. Below is our total crop from this batch. Rather than throw away any left over onion and shallot sets, these were planted into a spare patch of the plot. They were planted just about touching one another on 27 May. The idea being that rather than waste them the sets may produce small useable onions. These last sets grew really well - much better than those which languished for too long in modules. This area is about third the size of the bed in which the first lot of onions grew and about a sixth of the area where the second lot were planted. We knew that being placed so close together that the onions and shallots produced would be small. What did surprise us was that the total weight of the crop from the left over sets was about 2.5kg more than the second lot of sets transplanted from modules. The first lot of sets planted produced nearly three times the weight of onions as the second batch from half as many sets! Comparing the shallot harvests produced a similar result. So what lessons have we learned. Onions that have been kept in modules too long become root bound and just don't recover from this setback when planted out. 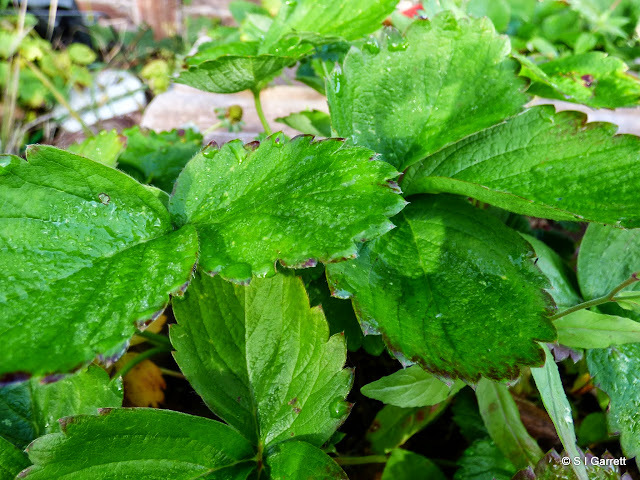 Later planted sets fare better if kept back and planted directly into the ground. Next year we should start one lot of onion and shallot sets early in cells and plant all the others directly in the ground as soon as conditions are favourable. We also now know for sure that the weed control fabric didn't impede the growth of the onions in any way which means we can confidentally reuse it next year. Our results confirm what we have long believed and that is that red onions are far more fussy growers than yellow ones. In our experience white ones are even more fussy than red onions. 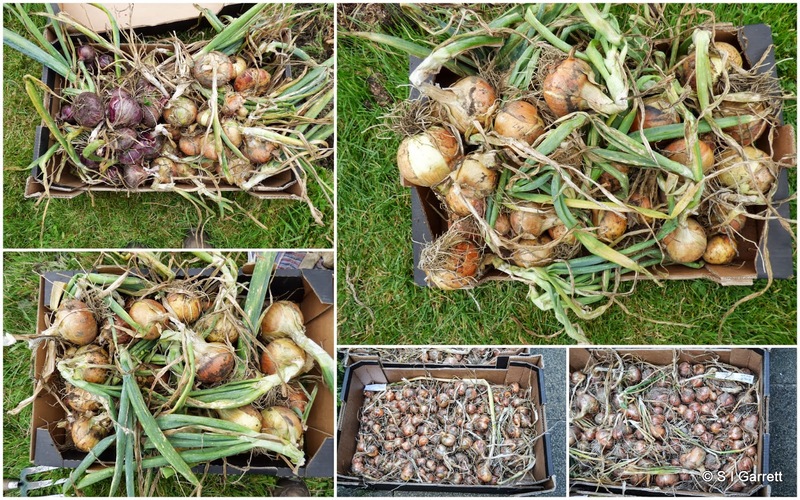 For full details of our onion and shallot harvest and a comparison of how each variety cropped see this page on our web site. 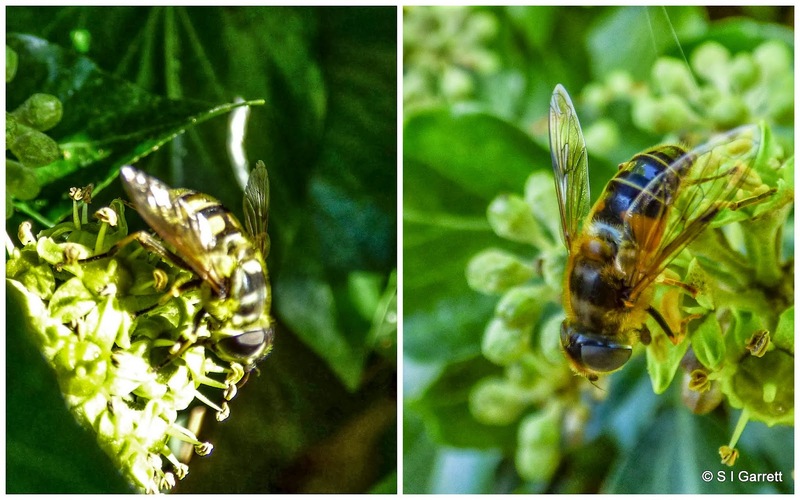 The year of fruit pests and diseases? In an earlier post I mentioned that our plums had been infested with plum maggots this year. Then earlier in the year our nectarine and peach trees had suffered from peach leaf curl from which they seem to have made a good recovery. The latest fruit tree casualties have been our pear trees. 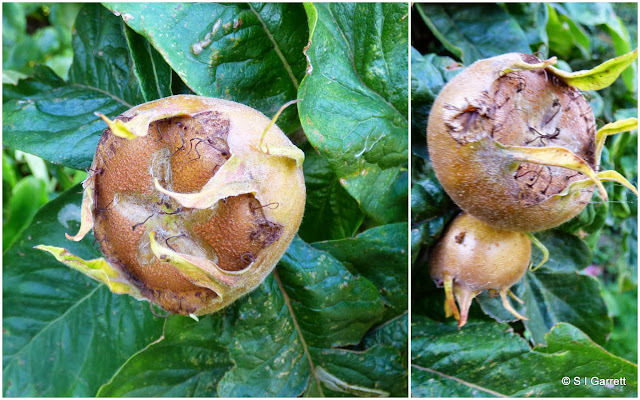 All have some fruit but they are also showing signs of disease. 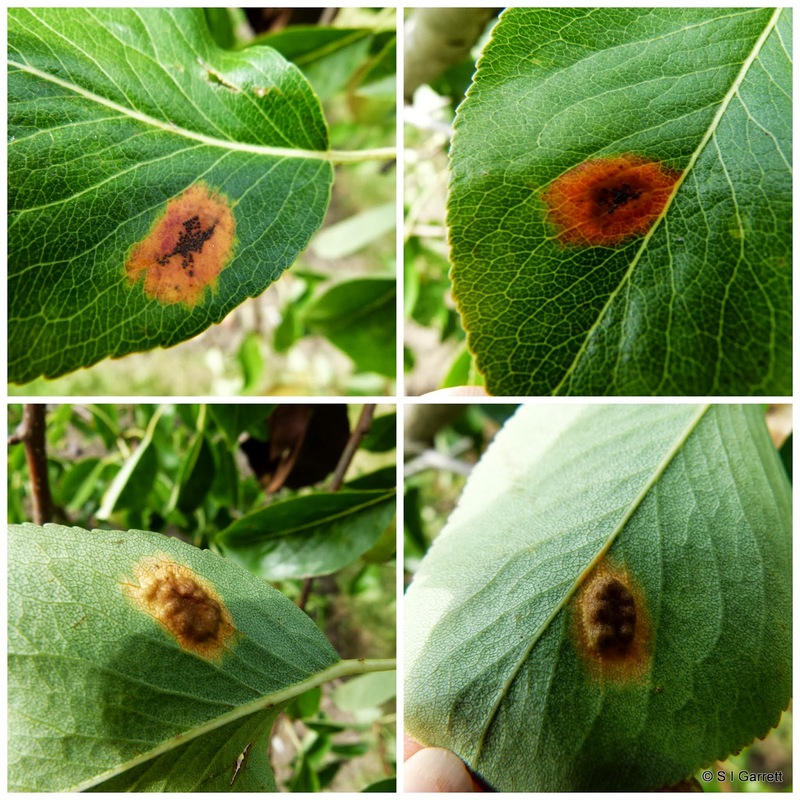 The first is certainly pear rust. We have three varieties of pear, Delsanne, Red Williams and Invincible. Not living up to its name, it is Invincible that is most badly affected. 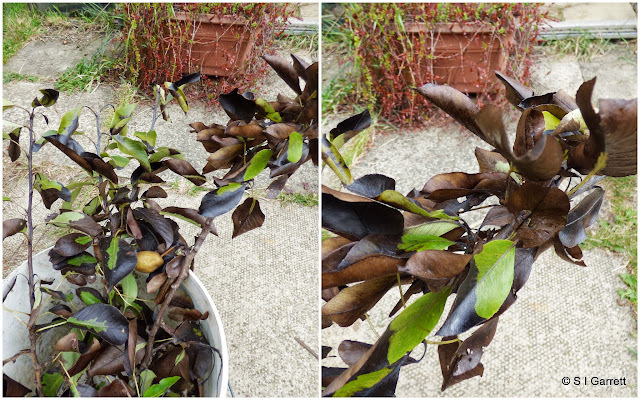 In an attempt to control the rust, I have picked off as many affected leaves as I can in a similar way to how I dealt with the peach leaf curl. Apparently when pear trees lose their leaves the fungus overwinters on juniper trees but it can survive in cankers that form on the tree bark. We don't have any junipers so I'm not sure where the fungus came from but I have read that a pear tree can be affected by a juniper growing half a mile away! I shall have to keep a strict look out for any cankers and signs of the disease next year. 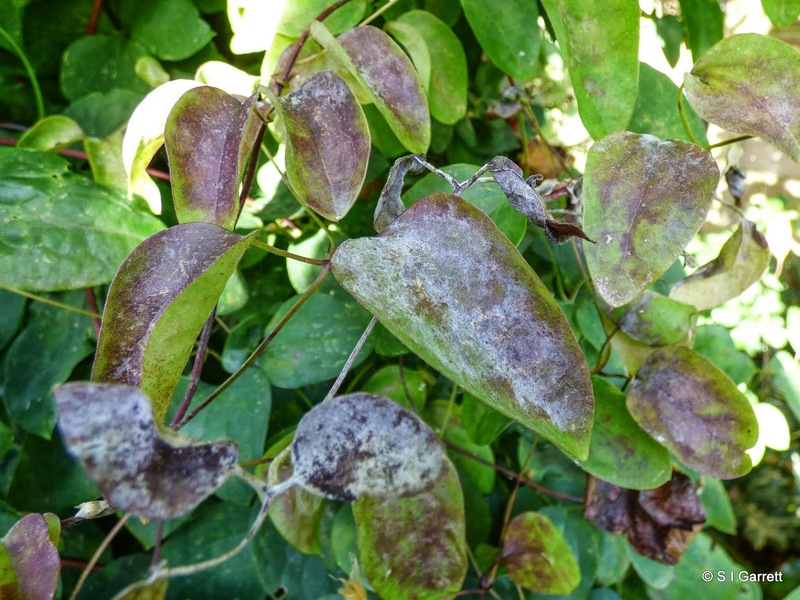 The second disease is more worrying - some leaves on Delsanne have turned black. We have cut out all the affected parts of the tree but on trying to find out what the problem could be I came across pear fireblight which is a disease that can travel along hawthorn hedges. 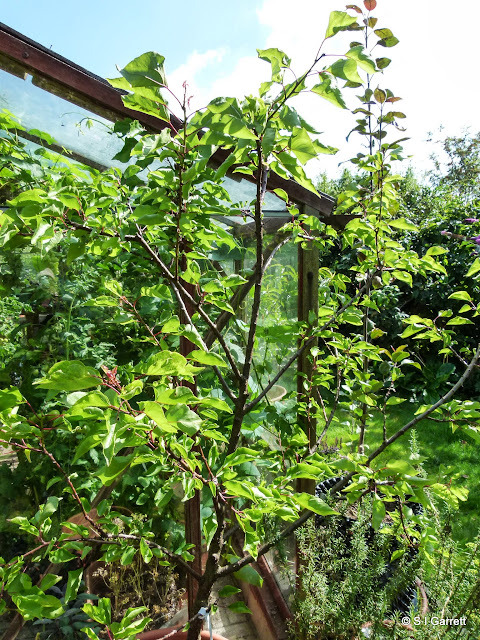 Our allotment site is surrounded by hawthorn hedging! 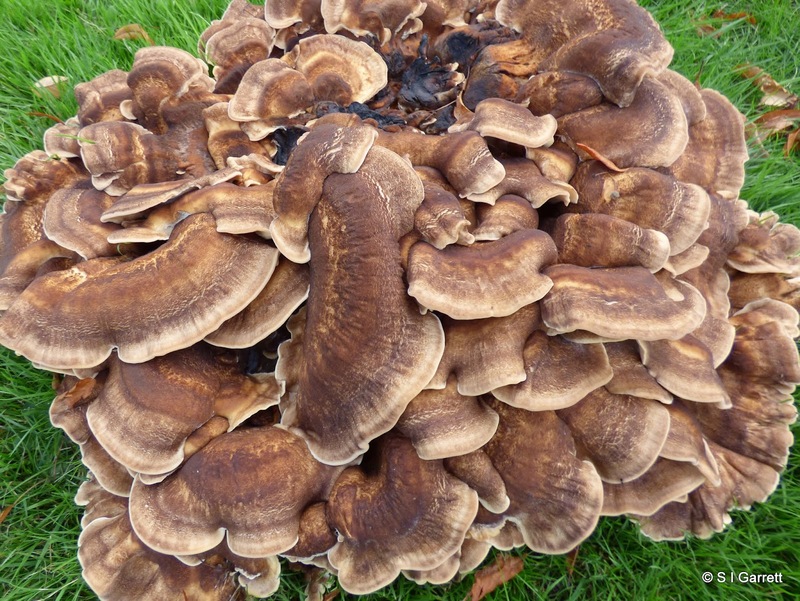 Apparently this is a notifiable disease so I emailed Defra on 10 September asking for their advice - no reply yet. I'll update if I get more information. Just hope the pears are unaffected! 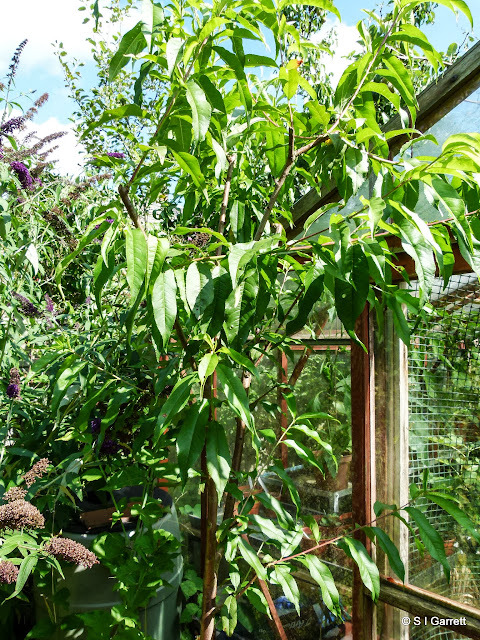 Do you remember that early in the year our peach and nectarine trees suffered from peach leaf curl. I posted about it here. I followed advice to remove diseased leaves as they developed even though it meant that at times the trees were just about bare! I wasn't sure that I was doing the right thing, after all trees need leaves to feed themselves. I read that new leaves would grow but wasn't really convinced. Without any alternative though I persisted - each time quietly apologising to each tree and saying that it was for its own good. I'm happy to say that both peach and nectarine trees now look very healthy. ... and this the peach. 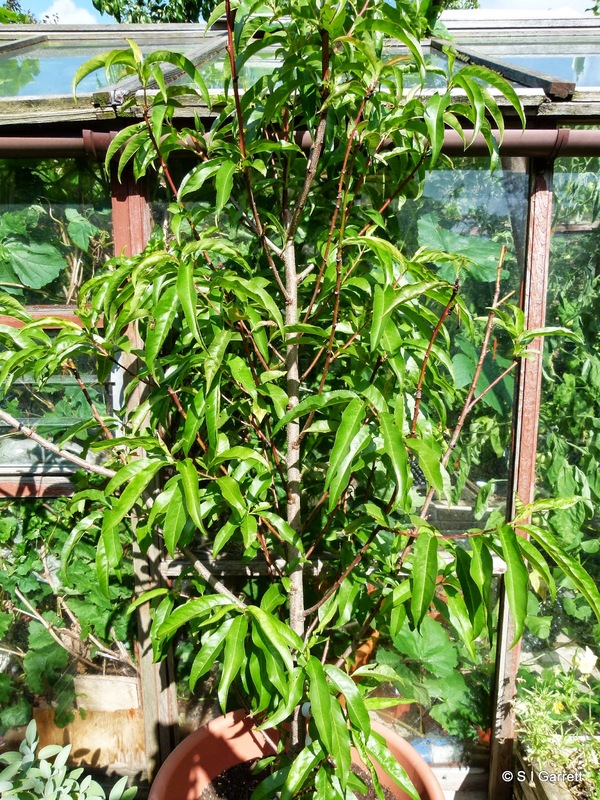 We took the opportunity to reduce the height of the peach as having no fruit to spare we cut back some of the tall branches early to hopefully avoid more disease creeping in. Peaches, nectarines, apricots, plums and cherries shouldn't be pruned too late in the year which makes it tricky to decide when to prune trees laden with fruit. Our apricot tree didn't succumb to peach leaf curl but then again it didn't flower either. 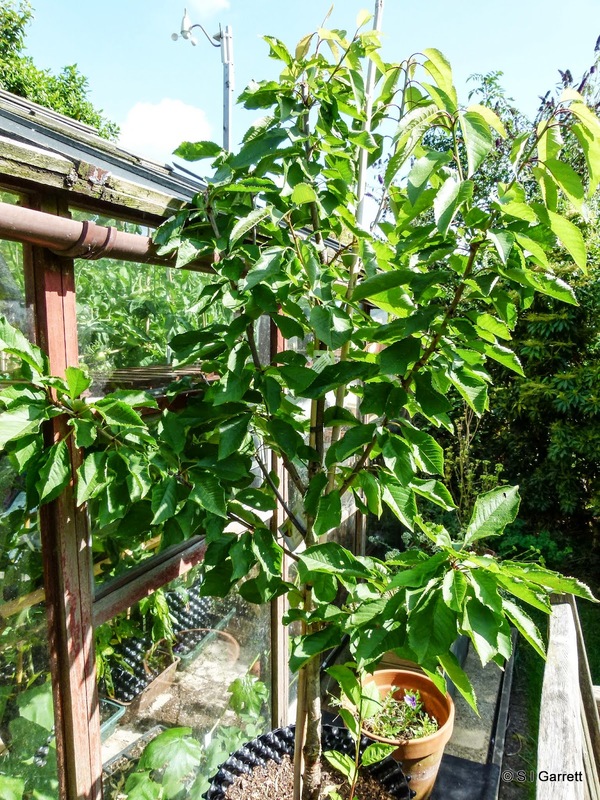 Our new cherry tree - Stella - is growing well but only produced two shrivelled fruits. On the plus side this meant we didn't need to net it! Then you may remember the apple tree Baya Marissa that came from Spalding bulbs and I reviewed here. If you remember I was disappointed by the size of the plant received - well I am pleased to say that the twig has made good growth. Maybe next year it will produce a fruit and we will find out whether they are really red all the way through. 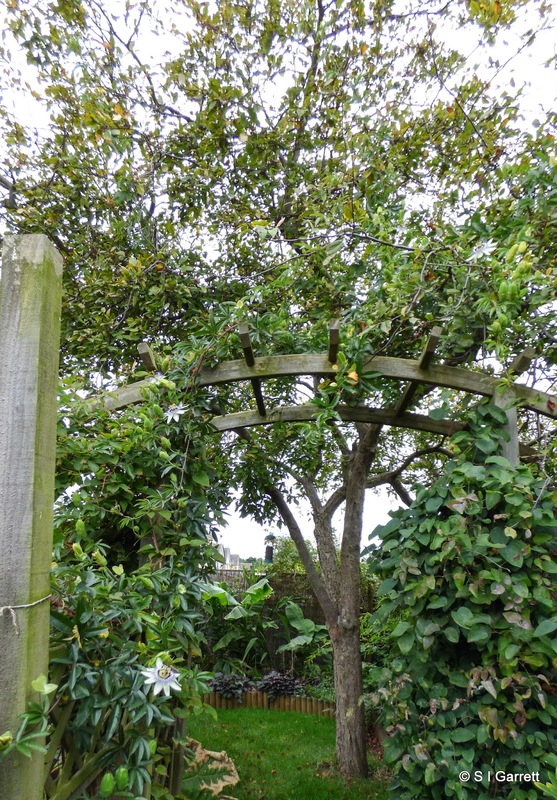 PS: The photo of the apple tree had to be large as otherwise it was difficult to differentiate from the apricot growing behind it.